The Fat Quarter Shop has been amazingly supportive of Project QUILTING from Day 1 and has offered to Sponsor prizes for a few of the challenges. With their sponsorship I offered them an opportunity to be one of the ‘guest judges’. I want to introduce to you , Kimberly, from the Fat Quarter shop – this weeks guest judge. Kimberly began quilting more than ten years ago. Debbie (who also works for the Fat Quarter shop) says “Kimberly caught on so quickly in class, she had to make her a separate class itinerary!” Kimberly fell in love and a few years later, started Fat Quarter Shop out of her home. I found a bit more background about the Fat Quarter Shop on their website: The Fat Quarter Shop was founded in 2003 by Kimberly Jolly. An avid quilter, Kimberly began her shop as a side business while still working a corporate position, cutting, packing and shipping right out of her house during evenings and nights. From the very beginning, she was committed to delivering top-notch service for every single order and customer. As the Fat Quarter Shop’s reputation grew, Kimberly decided to make it a full-time operation. Her husband Kevin joined her not long after, and with his help, lots of hard work, and a tireless commitment, the store began to grow. Over the past few years a few more people have joined the staff! As a team, we continue to branch out with the best fabrics, exclusive kits, quilt clubs, BOMs, and more. And we will always be driven by the passion that Kimberly founded the store upon, which is always giving you the best products and service! 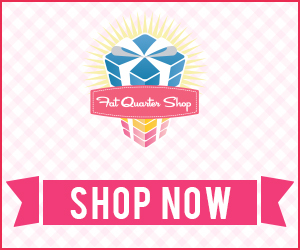 Why Choose the Fat Quarter Shop? Website: http://www.fatquartershop.com/ Facebook Page: http://www.facebook.com/#!/FatQuarterShop?v=wall&ref=ts Blog: http://fatquartershop.blogspot.com/ Twitter: http://twitter.com/fatquartershop Flickr Group: http://www.flickr.com/groups/1127198@N22/pool/ I can’t thank the Fat Quarter shop enough for there generous prize donation and I’m excited to add a third mix of comments into our finished projects. To catch up on the challenge for this week check out: http://kimlapacek.com/2010/04/project-quilting-apple-blossom-time.html You only have until this SUNDAY at NOON CDT to finish! The winners popular vote and the judges vote will each receive a $25 gift certificate to the FAT QUARTER SHOP! WooHoo!